Accessories:Healthy-pad/2 piece(2 pcs/set),2 pasters,trial dry battery(2 "AAA" alkaline dry cell)electrode wire/2pcs,wool dotted frame/1pcs,colorful box/1pcs,manual/1set. 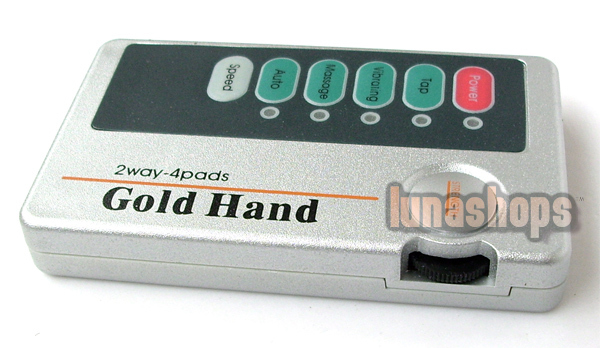 Others offered:Healthy-pad(2pcs/set)exclusively for a GOLD-HAND Low-Frequency Therapeutic Equipment,electrode wires. Where can a Gold-hand be used? 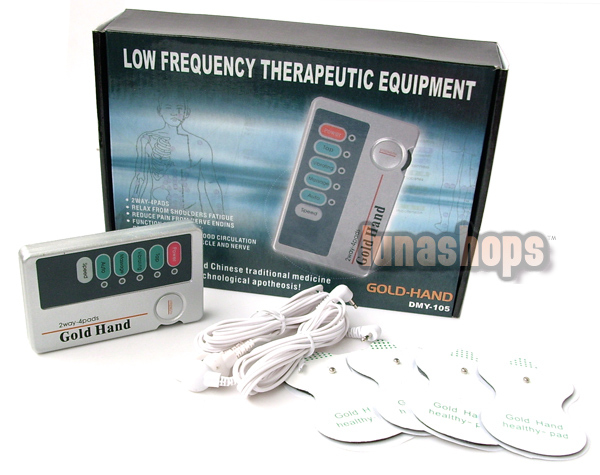 Gold-hand is the most cutting-edge scientific outcome following the emergence of DMY-18,DMY-19 and DMY-20.The product is famous for its successful application of the principle prevailing in traditional chinese medicine.The product,for its "Tap","Vibration" and "Massage" function,can free channel and collaterals meridian smoothen energy and blood circulation add strengh to the body and prolong life. A tap brings an alleviation or even elimination of muscle pain,tension,aching pain and fatigue,brings an amendment and improvement to blood circulation,which is the best reflected in such organs as neck,back,waist and joint.The machine is equipped with a specially designed program to combine waves in different profiles,which gives a true feeling same as a tap by a hand.A gentle pulse wave can improve a blood cirulation. The function is provided to meet different illness status.Vibration is an effective choice to chronic disease,hypertension,lumbar muscle strain,abdomnalgia,discomfort,whole body fatigue,neurasthenia and neuralgia. 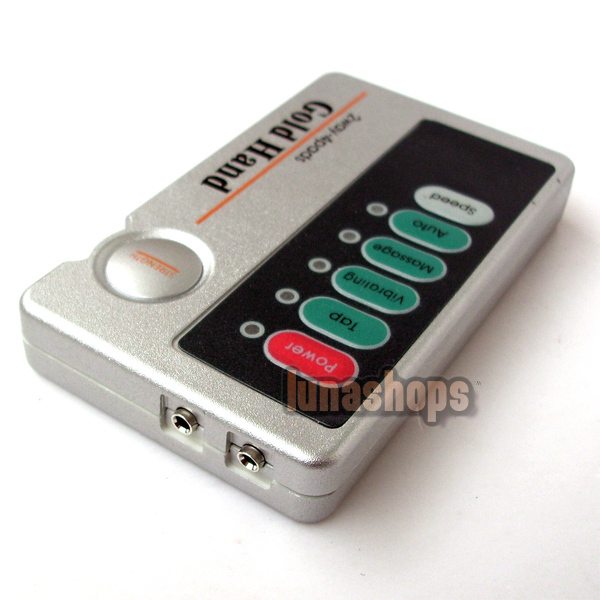 It works in such a way that pulse current with highly concentrated energy is directly applied to an acupuncture point on body surface.The pulsecurrent is used as a direct stimulus to sympathetic nerve inhibition,blood vessel expansion and blood circulation smoothening for an enhanced phagocytosis by internal organs and finally for an anti-inflammation and detumescence purpose.At the same time,high-energy pulse current transmits in body fluid through the body,which causes an increase in the content a morphia-like substance in serum and thus brings an alleviation to pains.Meanwhile,hgih-enery pulse current caused a direct stimulus to nerve muscle,causing a contracted muscel and an exercise effect,which makes the product an ideal seletion for fatigue alleviation and repair and elimination of damaged nerve and paralysis. 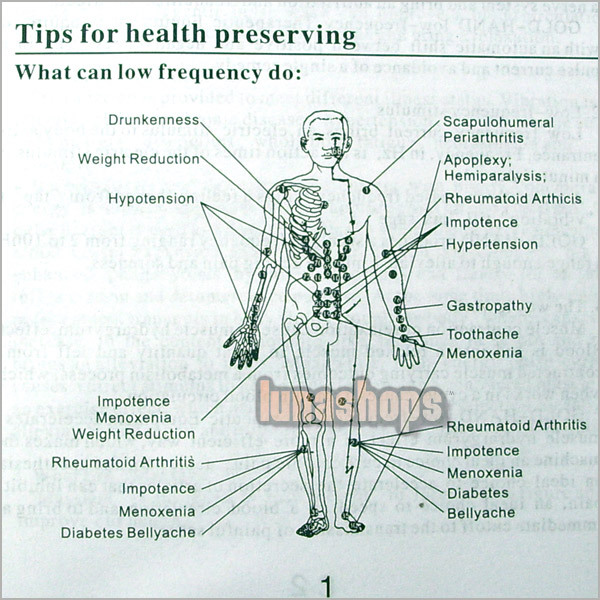 "Massage" is designed to lose weight to from a slim figure and to improve our health. "Massage" brings a desirable modulation to your muscle,brings a profound stimulus to your redundant fat.The product follows the body for a muscle control,Applies pulse current on the muscle to change its function,to bring curve to your figure and to restore your confidence. 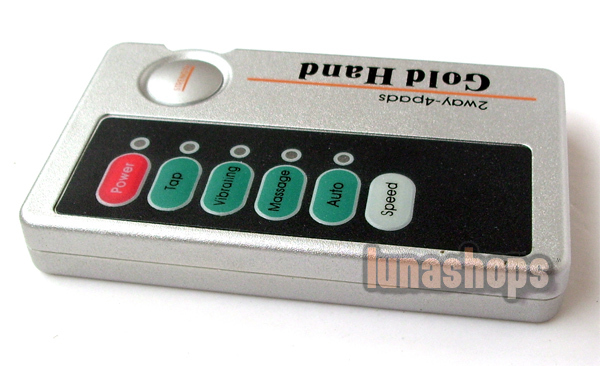 A customer-tailored automatic function is mainly desighed to combine pulse wave and waves in diversified profiles.The option integrates "Tap""Vibration" and "Massage".An automaitc shift between the three options is possible with the product in an automatic setting.The ooption is mainly targeted at patients who can find no time and require a combiantion of three options. 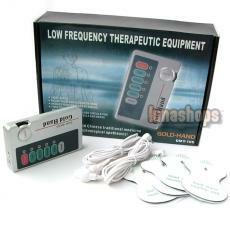 Gold-hand,a new-generation healthcare product,is based on physics,bionics,traditional chinese medicine and clinical study.The machine includes the top ten analog functions of its predecessors,what deserves a particular mentino is its outstanding effect to hypertension. Good day, My name is Dan Ionescu from Bucharest, ROMANIA. 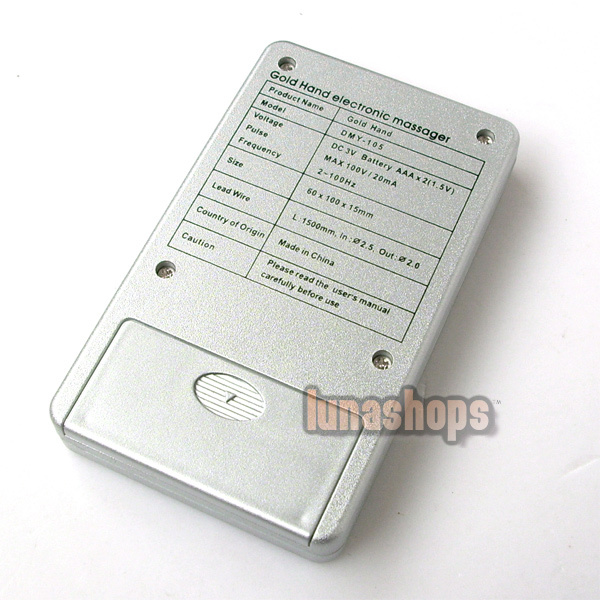 I am interested to buy 1 pcs of GOLD HAND DMY-105. Please send my your price delivered in Bucharest. Administrator:Hi, this item no longer in stock again. Administrator:Hello, we do not sell stick and this item out of stock now.